Mike & Steve take advantage of the 2012 London Summer Games to talk about the Season 4 episode "Bend Her". Please excuse any audio issues - we're still fiddling with the levels on our new sound mixing board. Mike and Steve talk about a double-feature of episodes: season 3's "The Day the Earth Stood Stupid" and season 4's "The Why of Fry". They take a look at the reason for Futurama's existence, and ALL GLORY TO THE HYPNOTOAD! Dr. Frankenstein: The Cursed Tapes - Theme for "The Mad Thinker"
Mike and Steve have Blernsball fever and aren't afraid to spread it! Join the boys as they try to nail down the rules of the game, discuss the mandatory use of steroids, and talk about the Season 3 episode "A Leela Of Her Own". In this week's episode, Mike and Steve discuss the 13th episode of Season 1, "Fry and the Slurm Factory", and try to determine whether or not it's the grossest episode in Futurama history. They also discuss some of the other parodies of Futurama, as well as cover off some Futurama News at the top of the show. Download now for the thrilling discussion - one that even forgets to mention that the Slurm contest has Fry looking for a bottle cap in a can. Screen capture of "3D Scrabble"
We made it to episode 2! In this episode, Mike & Steve have a look at the second episode of Season 1, "The Series Has Landed". 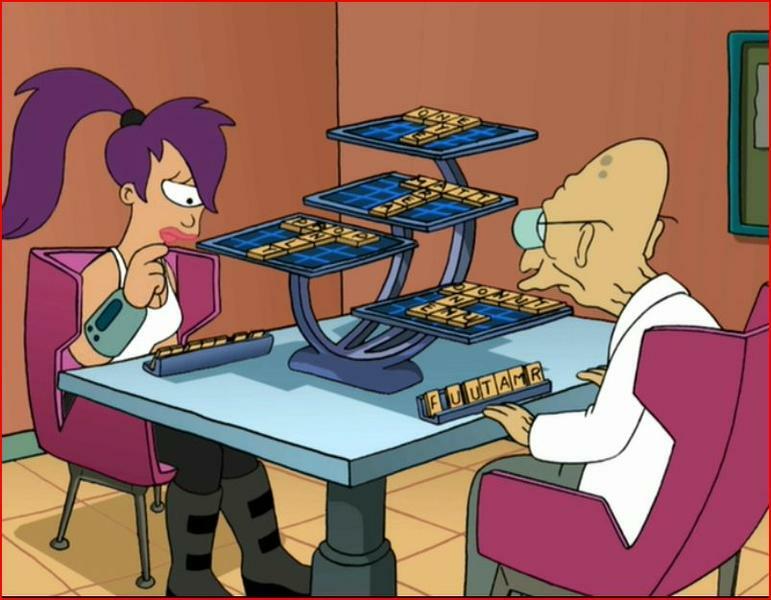 They also discuss Sal, everyone's favourite blue-collar worker in the Futurama universe, as well as some of the many robots that have appeared throughout the show's history. There's also some mention of new episodes that is *slightly* outdated, but give us a break - we recorded this back in May.